The protection of natural persons in relation to the processing of personal data is a fundamental right. The principles and rules on the protection of their personal data should respect their fundamental rights and freedoms, in particular their right to the protection of personal data. For further information, you can download the full text of the Regulations in the link “Legislation” containing the relevant page of the Official Journal of the European Union. 9. WE AVOID to use Google AdSense or similar. As a consequence, we do NOT have intrinsically the possibility to share personal information with any third party, neither that information can be hacked. However, after clicking on an external link, you leave the protection offered by ERIC web site, unless you use our unique proxy function to protect your identity. Researchers/Personnel/Applicants/Meeting Participants control their customer content. ERIC Web Site is a Cookies-Free site. We do not store cookies, both local and for third parties and we comply with the EU Cookie Law. ERIC delivers services to several sectors, including enterprises, educational institutions and European Institutions as well as governmental agencies in many countries. Our users include Universities, SME’s and Large Companies, governmental agencies, students and researchers who trust us with some of their information. We are well aware that is vital to conscientiously treat privacy and data security. That’s why ERIC does not store information through its Web Site and, thus, this prevent unauthorized access to or disclosure of your content both in transit and at rest. Maintaining researchers’ trust is an ongoing commitment. 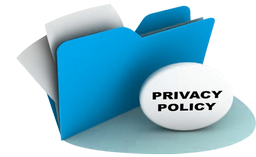 We strive to inform you of our privacy and data security policies, practices, and technologies we’ve put in place. Access: As a user, you manage access to your content and user access to projects website, where ERIC is Coordinator or Responsible for the Management and Dissemination of the Project. We do not access or use your content for any purpose without your consent. We never use your content or derive information from it for marketing or advertising. Storage: We do not move or replicate your content without your consent. Security: Cookies are not stored in all ERIC sites and your access details, in the European projects websites, are encrypted for your content in transit and at rest. Disclosure of customer content: We do not disclose personal content unless we’re required to do so to comply with the law, or with a valid and binding order of a governmental or regulatory body. Unless we are prohibited from doing so or there is clear indication of illegal conduct in connection with the use of ERIC’s services, ERIC notifies customers before disclosing customer content so they can seek protection from disclosure. HOW ERIC CLASSIFY PERSONAL DATA? We define personal information as information about a user that the user provides to us in connection with the creation or administration of a collaboration, a scientific research employment. For example, personal information includes names, usernames, phone numbers, email addresses, and bank details associated with a certain user activity. As a user, you maintain ownership of your content. ERIC does not access or use your personal information for any purpose without your consent. We never use customer content or derive information from it for marketing or advertising. As a user/researcher, you control your content. You determine if your content will be stored, including the type of storage. As an employee, your details related to the contract, personal and bank details are kept physically by the Labour Consultant and the Bank, both of which are complying with the GDPR as well. If you wish to apply for a position, implicitly you give your consent to process your personal data solely for the purpose related to the position you are applying for. WHAT ABOUT MY ACCOUNT INFORMATION? This Document aims to reassure all users/researchers, using the reserved area of the projects websites, where ERIC is Coordinator or Responsible for the Management and Dissemination of the Project, that the collection of these information as well as the mails related to the project that we are sending will be stored in a secure sever only with your consent. We know that you care how account information is used, and we appreciate your trust that we will do so carefully and sensibly. WHAT HAPPENS WHEN ERIC RECEIVES A LEGAL REQUEST FOR PERSONAL CONTENTS? We are vigilant about our users' privacy. We do not disclose users’ content unless we're required to do so to comply with the law, or with a valid and binding order of a governmental or regulatory body. Governmental and regulatory bodies need to follow the applicable legal process to obtain valid and binding orders. We review all orders and object to overbroad or otherwise inappropriate ones. WHERE IS PERSONAL CONTENT STORED? ERIC data centres are built within the web domain provider in Italy and protected therefore. WHAT IS MY ROLE IN SECURING MY INFORMATION? When evaluating the security of a cloud solution, it is important for you to understand and distinguish between the security of the cloud, and your security in the cloud. Security of the cloud encompasses the security measures that the domain provider implements and operates. We are responsible for security of the cloud and not keeping cookies nor personal information. You are responsible for your security taking all the measures to prevent possible leeches, using a secure password and changing it frequently enough. WHICH STEPS ERIC TAKES TO PROTECT MY DETAILS? Your details are stored in a special register which is not accessible from the web nor from the internet. The information provided in any ERIC Managed Project’s website is stored exclusively in the domain provider’s server and does not include personal details apart name, Surname and an email address.